There’s been a LOT of hype surrounding Korean skin care lately, with beauty editors worldwide lusting after the practically pore-less, flawless skin Korean women possess. As a result, Korean skin care brands are increasingly coming to Australian shores - among them Touch In Sol and The Face Shop, whose products are proving very popular. Naturally, our members have been getting curious about this skin care development, so we figured it was high time we took a closer look at the trend. Is skin care taken more seriously in Korea? So yes, skin care is taken pretty seriously in Korea, with a more-is-more approach most overseas onlookers don’t even come close to taking! What sets Korean skin care apart? The Korean trend builds on basic skin care essentials (cleanse, exfoliate and moisturise) to include more targeted products which treat more complex skin concerns. This means that as well as the plethora of cutting-edge innovative ingredients (think maple tree sap, sea kelp and nail slime amongst scientifically-proven hyaluronic acid and anti-ageing AHAs), a fastidious Korean skin care regimen also tends to involve a LOT of steps. How many steps are we talking? 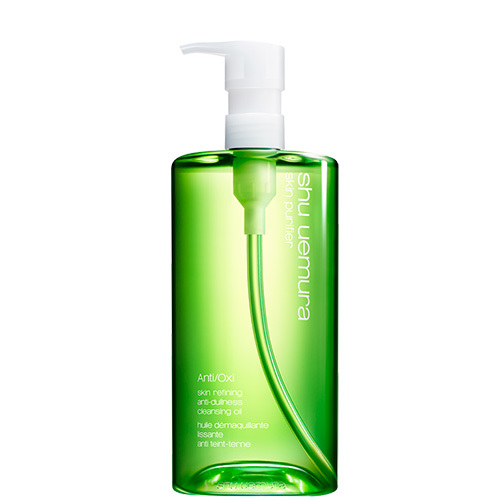 To begin, an oil cleanser is used to lift away make-up and sebum. This step is appropriate for all skin types - even oily ones. 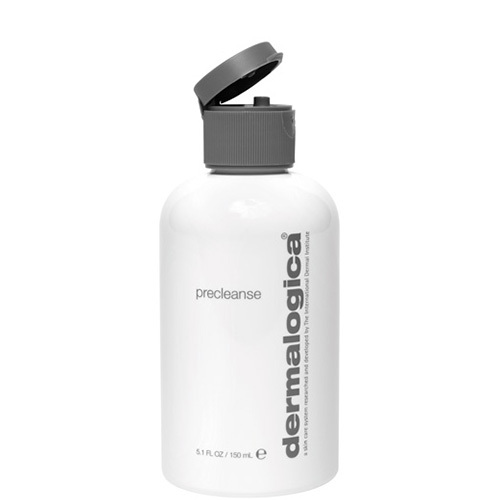 This is the second part of the double cleanse, and helps remove any remaining oil residue, sweat, dirt and impurities from your face. This may be in the form of a scrub or a leave-on exfoliant, and is formulated to slough away dead skin cells and smooth rough spots. Toners are nothing new, but in Korea, they’re loaded with soothing and antioxidant ingredients and considered a treatment in themselves. They also help prep the skin to absorb the products to follow. An essence is a thin, lightweight, milky formula that supplies the skin with antioxidants, anti-irritants and other repairing ingredients. It typically contains an active ingredient to optimise your skin’s natural cell turnover rate and promote skin regeneration. 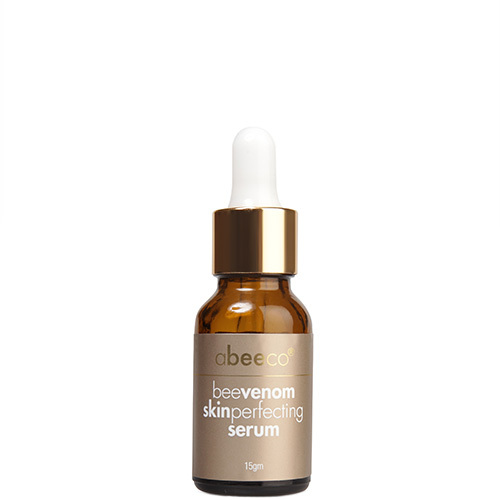 Similar to essences but thicker and more concentrated, serums are usually associated with anti-ageing - a retinol serum, for example - and are designed to sit underneath your moisturiser. Arguably the biggest novelty of the bunch, sheet masks come individually packaged for a single-use, serum-like treatment. The sheets have an opening for your eyes, nose and mouth, and treat specific skin care concerns including dryness and discoloration. Snapping a selfie is optional! A moisturiser for your delicate eye area, eye creams are formulated to target fine lines, crepiness and dehydration. Don’t be confused if you see the word ‘emulsifier’ being bandied about – this is the Korean equivalent of a moisturiser and will do the same job of hydrating your skin. You have to admit it sounds a tad more exotic though! A non-negotiable finishing touch to your morning skin care routine, a broad-spectrum sunscreen is used to shield the skin from UV exposure and stave off wrinkles and sunspots. 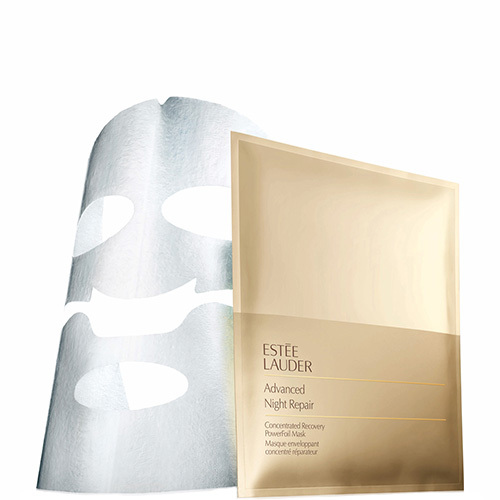 This is applied as the last step of your night-time routine to intensely hydrate and restore skin firmness as you sleep. Because if you’re a Korean skin care aficionado, you #wokeuplikethis! Is Korean skin care suitable for me? Those with sensitive or easily-irritated skin are particularly well-suited to a Korean skin care regimen, as they tend to be extra gentle. Why? Well, Korean people tend to identify as having sensitive skin, so cosmetic companies in Korea take this into consideration when developing product formulas. If this sounds like your skin type, but you aren’t up for the full 11 steps outlined above, you may want to consider adding just one or two additional steps to your routine to target your particular skin concerns. You also don’t have to use the whole haul every day - even Charlotte admits she usually only uses sheet masks and exfoliant twice a week! This is a good way to reduce your overall Korean beauty spend (not to mention save time). One million bottles of this bad boy sold just 11 months after its launch. The formula is famed for its active ingredients including fermented yeast extract and is designed to soothe, smooth and firm the skin. This antioxidant-rich serum remains the brand’s most popular product. Full of amino acids and minerals from squeezed green tea and green tea seed oil, it’s formulated to help restore skin clarity and suppleness. Reformulated in 2015, Laneige’s best-selling product contains special detox technology SleeptoxTM and ionised mineral water to deeply hydrate and brighten fatigued skin overnight. Fans swear by its aromatic orange flower, rose, ylang ylang and sandalwood scent. Want more info, tips and tricks relating to Korean skin care? Read about our members’ Korean skin care experiences in the forum. Could you handle an 11-step Korean skin care regimen? Have you tried any Korean skin care products? I already do about 9 steps so 11 isn't too much a difference! I wish I grew up in Korea or with skin care from earlier on. I feel sunscreen and keeping out of sun as much as possible every day from when you are a baby is the real skin saver! I have quite a few Korean skincare products myself by Missha, The Face Shop and Innisfree - but dayummm 10/11 steps is a fair bit! Since last commenting here, I’ve refined my skincare routine. I have now added Hada Labo gel to my routine- no regrets! Love the Innisfree green tea seed serum! I have tried a Korean face wash that I really liked but it was a bit drying. You can buy seven day mask packs at Daiso. I double cleanse and double/triple layer my sunscreen. Wear a broad brimmed hat and avoid the Sun when UV is high. After 2 weeks of trying out a 10 step Korean skincare routine, I already see a MAJOR difference in my skin. Fine lines, acne, and redness are all dramatically improved. I live in Sydney and get my stuff at Boniik in the QVB building and online at nudieglow.com! I'm always envious of the korean actresses' skin. This must be their secret! Looking after skin at a young age is so important. I’m going to have to do a massive K skincare haul! So interesting. I would love to give this routine a try and see if it is right for me. I would love to try Banila Co. Oil/ balm cleanser. Honesty I had really damaged skin before I used the Korean skincare routine. I'm talking, textured skin, acne, acne scars and an overall dull face, all the things that made me want to smear make-up across my face whenever I went out. But things changed as soon as I started to use Korean products. I've been using it for nearly 3 months now and there's been a MASSIVE change! I'm not even joking, my skin is much, much clearer, smoother and brighter than it was. I'm never turning my back against Korean skincare, it's honestly saved my life! I've not yet delved into the fascinating world of Korean skincare, am very intriguged now after reading this article. I've been in love with Korean skincare for about a year now, & there's no going back! My favourite products to date are probably the Tony Moly 'I'm Real' seaweed sheet masks & the Innisfree Jeju Volcanic Pore Cleansing Foam! I thought 11 steps was a bit over the top until I counted up what I do every night - which is 8 steps so I'm not far behind. And it doesn't really take much time at all. I haven't used any Korean skincare but it's always at the back of my mind to try some. Gosh, that's a very long skincare routine. I have noticed alot more Korean beauty products around lately. Yeah... 10-11 steps. Not for me!! Way too lazy. Right now I have cleanser, serum and moisturiser. That's 3 steps. Add an extra facial oil and sheet masks in winter. That's 5. They have twice the amount of steps. Would be so tedious for me. But that's because I already have good skin so I feel like doing any extra steps would be unnecessary and might ruin my skin. WOW! That is ALOT of steps! The only thing I want in a skincare product is to close my pores!! I hate my pores on & near my nose apart from them my skin is quite good. These brands are so cheap compared to Western brands. And they work well too! I have an 10-11 step skin care routine and i LOVE it! It is soothing, relaxing and eases stress and anxiety. Some great products listed here which i would love to try. Sheet masks are my best friends! If anyone has dry skin during Winter, a sheet mask is handy! I currently use Mizon from Mecca Maxima which is cheap and effective!  I have tried a few korean products and i must say i was really impressed , they are great! So many steps! I do like Korean skincare though. Shu Uemura and Pacific Amore are two of my favourite brands. I didn't realise Korean held such high importance on skincare, but now you mention it I have heard about people using an 11 step method before so it's all starting to click. What did we do without Korean Beauty products? I do not know what I would do without them in my life now. Well I like the sound of these serum's & oil's but I think not here on these too pricey when you can find similar product's that are less expensive & it seems that the Korean's basically have the same regime as us but so like their product's. I think I'm on the Korean skincare hype train. I have had many hauls on korean cosmetics and they have definitely helped my skin problems like acne, spots and fine lines. I have seen very promising results and I believe everyone should venture out on some Korean skincare products as they're very affordable and effective! I believe that sometimes, no matter how much you care for your skin, you will always have some challenges. I truly made sure, right from the start that our girls cared for their skin, using natural products with no chemicals, always washing their make up off before going to bed etc etc and yet, they still had a face of blemishes for many years. Ten or eleven steps is a big commitment every night! There are aspects of Korean skincare I love though, such as sheet masks and oil cleansing. I follow the Korean skin care regime, and I love it. It may use a lot of products, but it isn't as time consuming as you'd thing. It is a luxurious way to relax and pamper yourself, and your skin will thank you! I have tried a few Korean sheet masks and look forward to trying out lots more. Very interesting article. I notice that many of products from Indonesia have skin lightening qualities, wonder if Korean products do too. I love Korean skincare. Their sheetmasks are the best, and so cheap too. if anyone is new to korean skin care, i would recommend the face shop's products as a starting point. Love this article. My skin routine is pretty complex and I am keen to get into some budget friendly Korean skin care products, so thank you! I have recently started to use Korean skincare, just the mask. Havent yet decided if I like it.